Colorful eggs, rabbits, chicks, and candy! 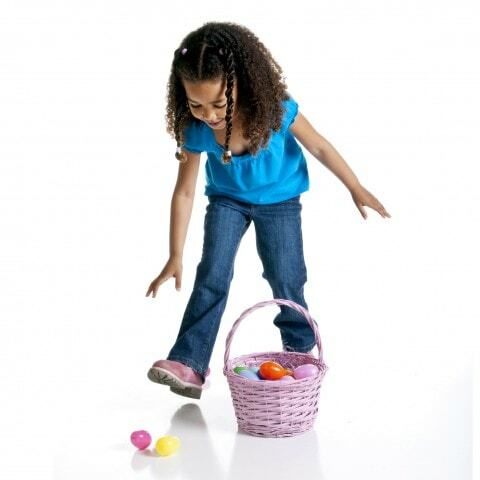 There are many fun and engaging activities to try with your child this Easter. Enjoy the best the holiday has to offer! Traditionally, Easter is a religious holiday that annually celebrates the resurrection of Jesus, but in modern times it is also held to celebrate the joys of spring! Even if you’re not religious, Easter can be an exciting holiday for you and your family! With a little help from the article, Easter will surely become a part of your annual traditions. An interesting fact about Easter is that the date it’s celebrated on always changes! The reason for that is because long ago it was decided that Easter would be celebrated the Sunday a week after the first full moon of the vernal equinox. So, the day it’s celebrated on will always be a Sunday, but the date won’t be the same every year! 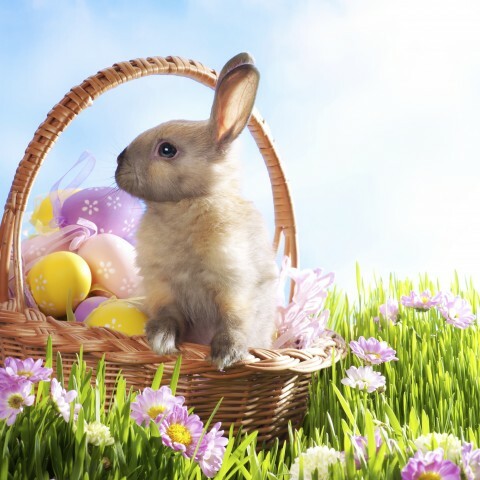 There are plenty of staple Easter activities that you should know about! Don’t miss out on any of the great traditions Easter has to offer! Here’s a list of must-try activities for you. A colorful and creative activity to enjoy at home is dying Easter eggs! You can make vibrant and festive eggs by simply using a mixture of vinegar, food coloring, and water. Dunk some hard-boiled eggs in the mixture and you’ll have yourself an Easter staple! You can also draw on the eggs with some crayons to make some unique and eye-catching designs before you dye them. Mix 1/2 cup boiling water, 1 teaspoon vinegar and 10 to 20 drops of food coloring together in a cup. Dip hard-boiled eggs in the dye for about 5 minutes. 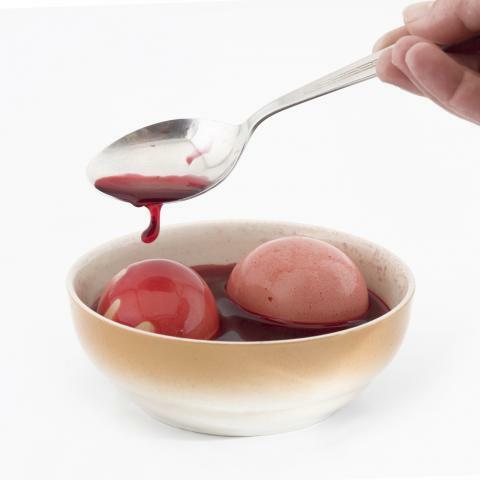 Use a wire egg holder or spoon to scoop out/add the eggs to/from the dye. Set them on some newspaper until dry. With all of the eggs you’ve just decorated, you’re ready for an Easter egg hunt! 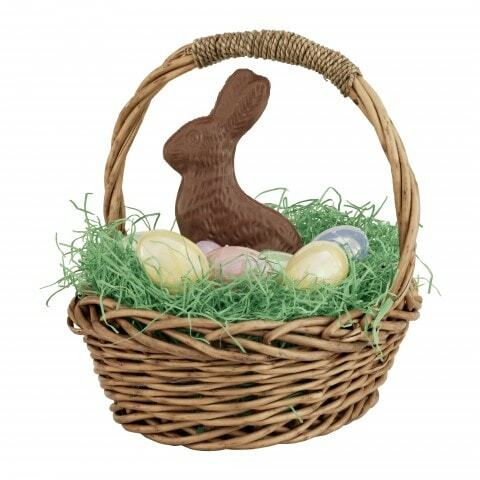 Mom or dad can hide the eggs around the yard or house while the child waits for the fun to begin. No peeking! Grab yourself a basket and keep your eyes peeled for those gems! They can be hiding in some funny places sometimes, so be sure to look carefully. You might want to have a friendly competition of who can find the most eggs! The winner could receive a special prize or at least bragging rights. Nothing is more exciting than getting a beautiful basket filled to the brim with tasty treats! 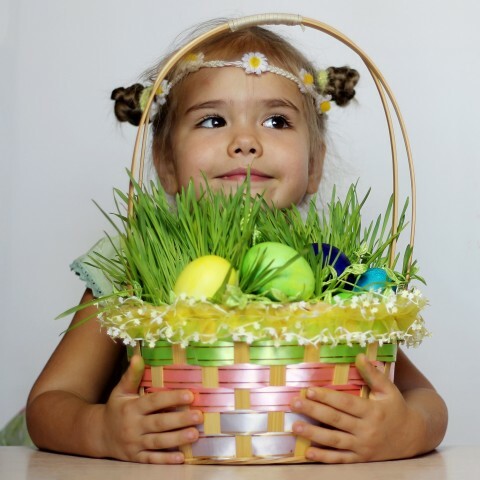 Get yourself an Easter basket, fill it with some plastic or paper “Easter grass” for some nice cushion and volume, then fill up the basket with some of your child’s favorite chocolate eggs, marshmallow Peeps, and small toys! For an added challenge, feel free to hide the basket in the house. If Easter candy isn’t satisfying your sweet tooth, then you might want to roll-out some delicious cookies! Sugar cookies are both delicious to eat and tons of fun to make. 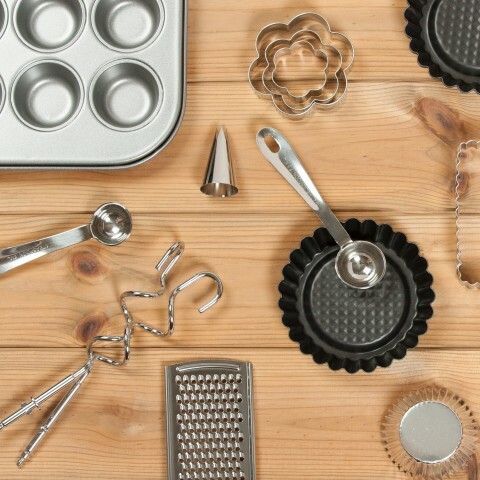 Find some nice cookie cutters in the shape of eggs, rabbits, or chicks and roll out some sweet dough. Cut and bake your cookies, then mix up some colorful icing! Everyone knows that decorating the cookies is the best part, so get creative and have a blast! If all of the sugar was a little too much for you, then a relaxing activity could be just the thing you need. 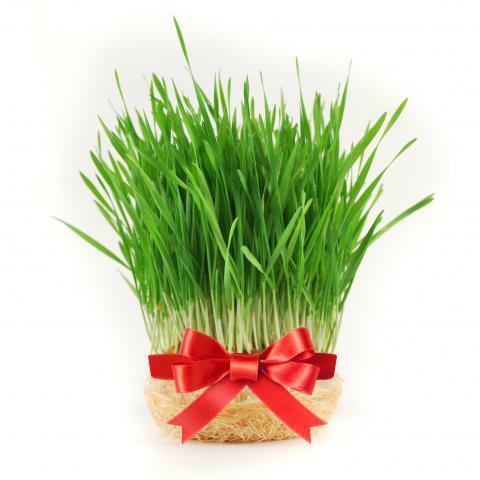 You’ll need: one paper cup, enough soil to mostly fill the cup, a sprinkling of grass seeds, some water, and some markers. First, decorate the outside of your cup with your markers. Second, fill up the cup almost to the top with soil. Third, press some seeds into the top layer of the soil. Fourth, water the seeds. Lastly, put your cup in a sunny place and wait for your seeds to sprout! If you’d like to add an aspect of learning to your Easter holiday, try watching this video! Your kids might recognize a couple of the characters if they’ve already dyed a few eggs. They can use this video for becoming masters of pronouncing “e” as in, “egg”! You can even challenge your little one to come up with more “e” words if they’re up to the task. 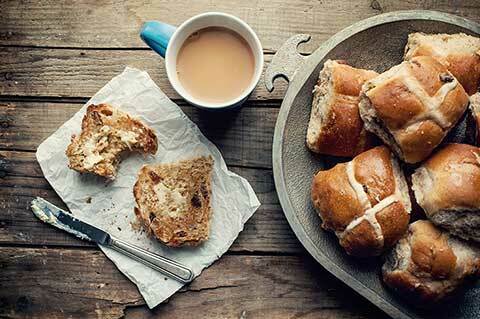 What are some traditional foods we can enjoy on Easter? On Thanksgiving, there are many standard dishes you’re guaranteed to see, like roast turkey and pumpkin pie. How about Easter? There are many go-to foods you can try and make for yourself. Here are some dishes you might find on your dinner table. 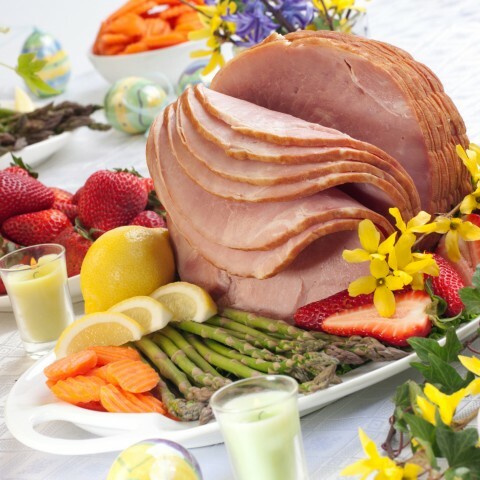 Ham is a classic main dish of Easter! Historically, ham was typically eaten in the springtime. Since there was no refrigeration, ham would be cured in the winter, stored, then eaten in the spring. These days, we don’t have to worry about curing or preserving our food thanks to our refrigerators, but we still enjoy carving up a tasty ham on Easter. Try serving up a honey-baked ham this year! The sweet and salty glaze will be a guaranteed hit! 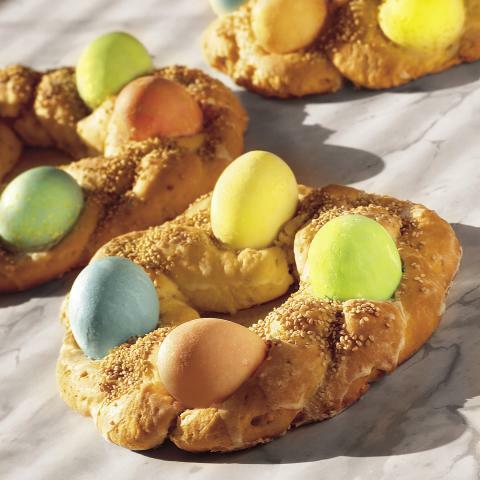 There are many varieties of Easter bread around the world. Some are sweet, while others are savory. They can be spiced, filled with nuts, cheesy, etc. There is, however, one variety that is very popular and great fun to make! It’s a loaf that is elegantly braided with a bright Easter egg in the middle! Creamy and cheesy, this is one satisfying dish! 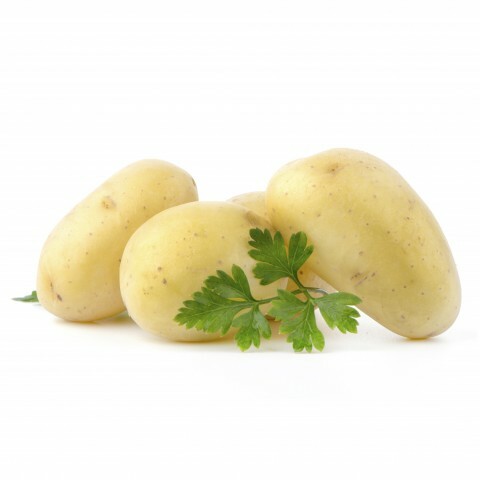 You can enjoy scalloped potatoes by slicing up some potatoes very thinly, arranging them in a dish, covering them with a generous layer of cream sauce, and lastly topping everything with some cheese. Bake the whole thing in the oven until it’s done, then grab some plates and dish it up! How about some dessert? 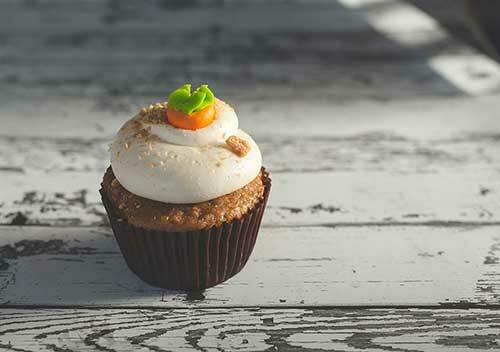 Carrot cake is a rich, spiced cake made with finely shredded carrot and topped with a sweet cream cheese frosting. They might have some sweet raisins mixed in there too! For some extra festiveness, you can decorate your cake with little carrots, using orange and green frosting. The Easter bunny won’t be able to resist this tasty treat! These little bread rolls are a big Easter classic! They’re given a “cross” design on top by being sliced, then baked. You can keep them plain and simple, or add in some raisins and spices. If you’re craving the sweet variety, you can add some glaze on top! Now you are an Easter expert! You have all of the tools you need to celebrate with your family like a pro. These activities will be sure to bring joy to you and your family this spring. Now, go get some eggs and get started! If you want the best learning experience for your child, but don’t have the resources, why not check out Red Cat Reading Download Center? There are countless FREE videos, worksheets, songs, flashcards, and more! Start your child’s reading off right with phonics lessons and interactive learning. Happy reading!